A sturdy pole set securely in the ground, that is used to support a fence. 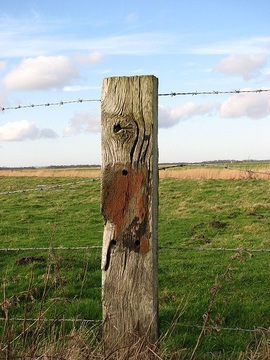 Fence posts are placed at regular intervals, and the other parts of the fence are attached to them. Fence posts can be set in gravel, or in concrete for extra stability. The sturdiness of the ground they are being set in should be taken into account.